We’re delighted to announce the following special guests will be presenting at the 107th CAA Annual Conference, taking place February 13-16, 2019, at the New York Hilton Midtown. Scott is the recipient of myriad commissions, grants, awards, residencies, and prestigious honors from the National Endowment for the Arts, the Louis Comfort Tiffany Foundation, Anonymous Was a Woman, American Craft Council, National Living Treasure Award, and has received a Lifetime Achievement Award from the Women’s Caucus for the Arts, a Mary Sawyers Imboden Baker Award, among others. 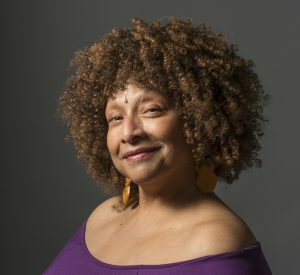 CAA Convocation featuring Joyce J. Scott’s Keynote will take place Wednesday, February 13, 2019, from 6-7:30 PM. Free and open to the public. 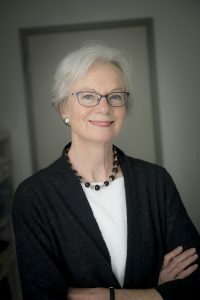 The Distinguished Scholar for the 107th CAA Annual Conference will be Elizabeth Hill Boone, Professor of History of Art and Martha and Donald Robertson Chair in Latin American Art at Tulane University. An expert in the Pre-Columbian and early colonial art of Latin America with an emphasis on Mexico, Professor Boone is the former Director of Pre-Columbian Studies at Dumbarton Oaks and recipient of numerous honors and fellowships, including the Order of the Aztec Eagle, awarded by the Mexican government in 1990. Read our interview with Elizabeth Hill Boone. The Distinguished Scholar Session will take place Thursday, February 14, 2019, from 4-5:30 PM. 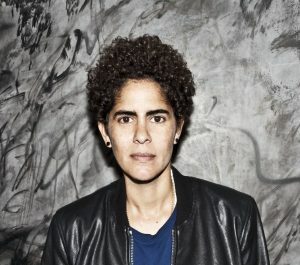 The Annual Artist Interviews will feature two artist interviews: Julie Mehretu interviewed by Julia Bryan-Wilson and Guadalupe Maravilla interviewed by Sheila Maldonado. Julie Mehretu is a world-renowned painter, born in Addis Ababa, Ethiopia in 1970, who lives and works in New York City and Berlin. She received a Master’s of Fine Art with honors from The Rhode Island School of Design in 1997. Mehretu is a recipient of many awards, including the The MacArthur Fellowship (2005) and the US Department of State Medal of Arts Award (2015). She is best known for her large-scale paintings that take the abstract energy, topography, and sensibility of global urban landscapes and political unrest as a source of inspiration. She has shown her work extensively in international and national solo and group exhibitions and is represented in public and private collections around the world. Julia Bryan-Wilson is Doris and Clarence Malo Chair and Professor of Modern and Contemporary Art at University of California, Berkeley. Guadalupe Maravilla (formally Irvin Morazan) was part of the first wave of undocumented children to arrive at the United States border in the 1980s from Central America. In 2016, as a gesture of solidarity with his undocumented father (who uses Maravilla as his last name in his fake identity) Irvin Morazan changed his name to Guadalupe Maravilla. 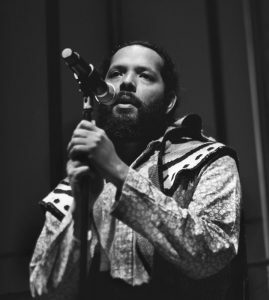 Maravilla has performed and presented his work extensively in venues such as the Whitney Museum of American Art, New Museum, The Metropolitan Museum of Art, The Bronx Museum, El Museo Del Barrio, Jersey City Museum, Caribbean Museum (Colombia), and MARTE Museum (El Salvador). His work has been recognized by numerous awards and fellowships including, Franklin Furnace, Creative Capital Grant, Joan Mitchell Emerging Artist Grant, Art Matters Grant & Fellowship, Virginia Museum of Fine Arts Fellowship, Dedalus Foundation Fellowship and the Robert Mapplethorpe Foundation. Sheila Maldonado is a New York-based writer and poet, whose family hails from Honduras. The Distinguished Artist Interviews will take place Friday, February 15, 2019, 3:30-5:30 PM. Free and open to the public. 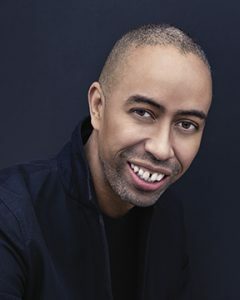 CAA is also pleased to announce that designer Stephen Burks will speak at the Annual Conference in a special event of the CAA Committee on Design. Burks will lead a talk titled, “Objects of African Descent: Tracing the lineage and influence of everyday African objects and culture throughout the diaspora and beyond.” Burks believes in a pluralistic vision of design inclusive of all cultural perspectives. For his efforts with artisan groups around the world, he has been called a design activist. His ongoing Man Made project bridges the gap between authentic developing world production, industrial manufacturing, and contemporary design. Independently and through association with the nonprofits Aid To Artisans, Artesanias de Colombia, the Clinton Global Initiative, Design Network Africa, and the Nature Conservancy, Burks has consulted on product development with artisan communities throughout the world. In addition, leading, manufacturers have commissioned his studio, Stephen Burks Man Made, to develop lifestyle collections that engage hand production as a strategy for innovation. In 2015, Burks was awarded the National Design Award in product design and in 2018, the Harvard Loeb Fellowship. UPDATE, January 28, 2019: Unfortunately due to scheduling conflicts this event is canceled. Explore other presentations on design here. For the second year, CAA will present the Outstanding Leadership in Philanthropy Award to a foundation or philanthropic organization that has established a record of exceptional generosity and civic and charitable responsibility. This year’s award will be given to the Getty Foundation.